This Libra season feels a little more intense than usual, maybe because of the deep shadow work that the world has been undertaking. Resentments that have been buried for centuries are coming to the surface, which is never a bad thing. Anything that's repressed will always resurface, and we need the wound to open up so it can heal. Venus, Libra's ruler, just entered a 40-day retrograde period, adding to the more inward vibe. 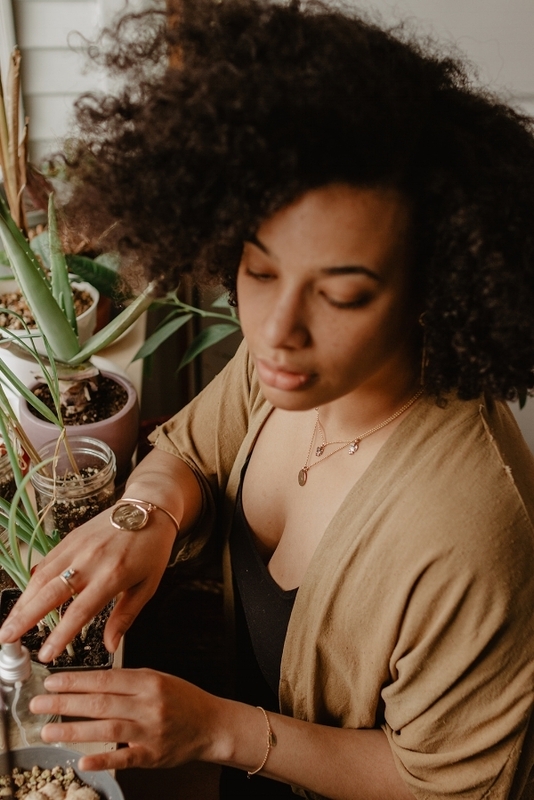 While Venus is retrograde, it's a good time to look at our relationship with ourselves--how we can treat ourselves with more love and respect, thereby creating space to extend the same courtesy to others. When I love myself first, I'm loving all of humanity and all of creation because we are all ONE. When I embrace the energy of Venus, I'm able to tap into such an abundance of self-love that it can't help overflowing into the hearts of others. When I treat myself like royalty, I show others that it's ok to embody grace and love. When I love and trust myself, I'm able to create space to love and serve others. It may feel selfish to shift into this mindset, but, here comes a cliché, it's so important to always put on your own oxygen mask first. Our energy overflows into the world around us. If we suffer because of our own decisions, we won't be able to help people who truly need it, those who aren't in a position to help themselves first. If you feel like you don't deserve this relationship with yourself, I can't think of a better time than Venus Rx to dig into your shadow to find out where this belief came from so you can reprogram it.